A blog and The Life In Between : How to stay warm & chic. How to stay warm & chic. The thin line between warm & chic. As much as we all love the different seasons such as fall, winter, summer etc. it's really easy to get lost in the "comfort" and forget about still looking stylish. Winter and fall are tough ones when it comes to dressing, I always feel like there is no happy medium - you either have to be warm or look cute. Today I wanted to share a few of my fave pieces for fall that can be timeless, cozy and most importantly warm!! Sweater dress. No matter where you live most likely there is always those days where it's too hot to wear a sweater and too cold to wear shorts, so what's the happy medium? 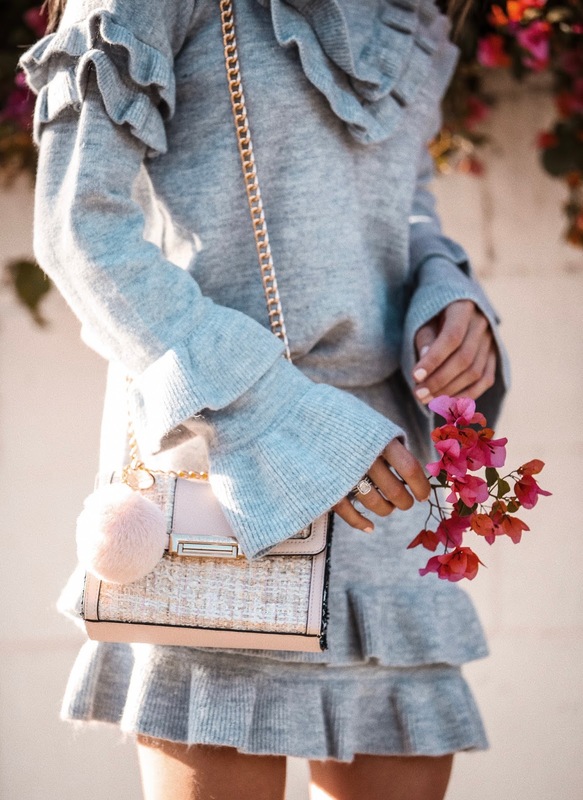 Well, for me the easiest and most stylish way to dress during those seasonally confusing days is either leggings + crop sweater or a cute sweater dress. This specific one in the images is by River Island and let me tell you I didn't have to chose in between comfort and style. It's (very) warm and cozy, I am wearing the smallest size available and i put a thin belt around it to make it a bit more on a shorter side as I was heading over to brunch with some gf's and had a photographer meet me to snap a few pictures before heading in! It also comes in a different color which is a super cute matte pink - also got that one too and will link both colors at the end of the post for you gals. Knit bag. My fave part of fall is all the "knit look" bags Brands come out with during the season! 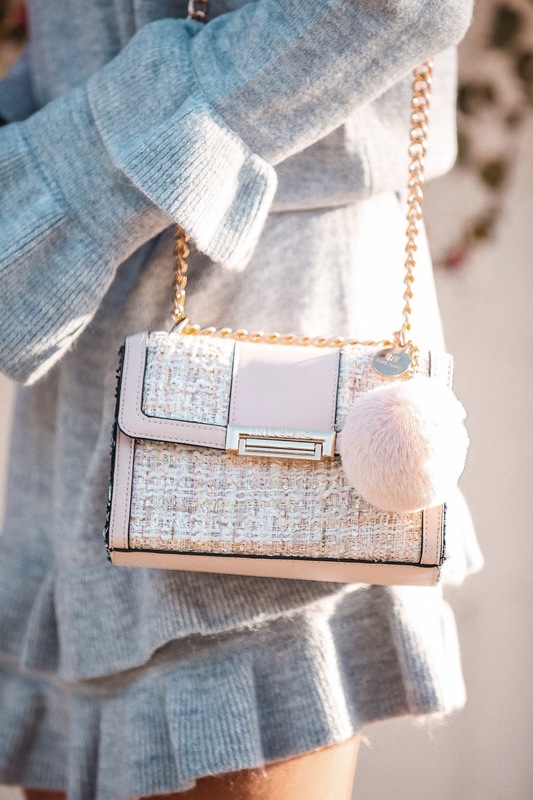 Forget all those boring material bags we use over and over throughout the year, it's time for some cute / fall looking bags & this one is perrrrfect! I'll also link a few other faves at the bottom of the post that I've been eyeing for a while too.